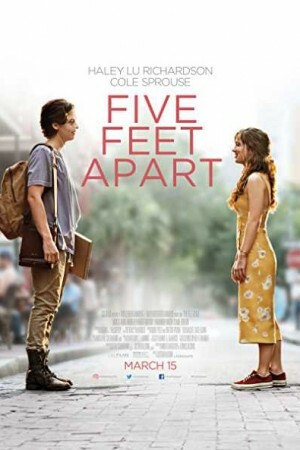 Five Feet Apart is an American romantic drama film based on the love story of a 17-year-old Stella Grant, who is a cystic fibrosis patient, and a charming fellow Will Newman, another CF patient. While flirtation starts the instant they cross paths with each other but their medical condition forces them to stay at least 6 feet apart causing their love to intensify further. Already complex matters complicate further when Will shows a rebellion against the medical treatment. Though Stella works towards motivating Will to follow the treatment and get well as soon as possible, how far their love travels forms the rest of the story.